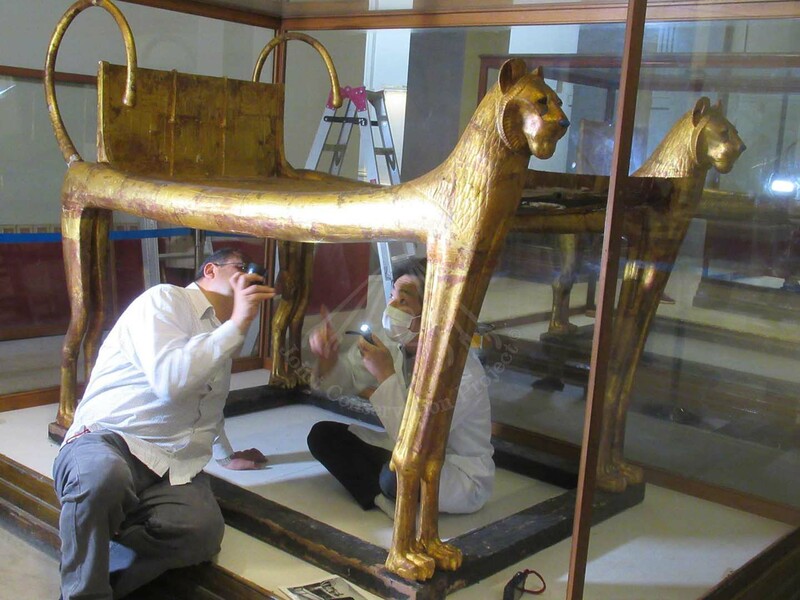 Starting from 23th March, the Egyptian and the Japanese experts have started working on Tutankhamun’s chariot and bed which are displayed in the Egyptian Museum in Tahrir, preparing for their transportation to the Grand Egyptian museum. 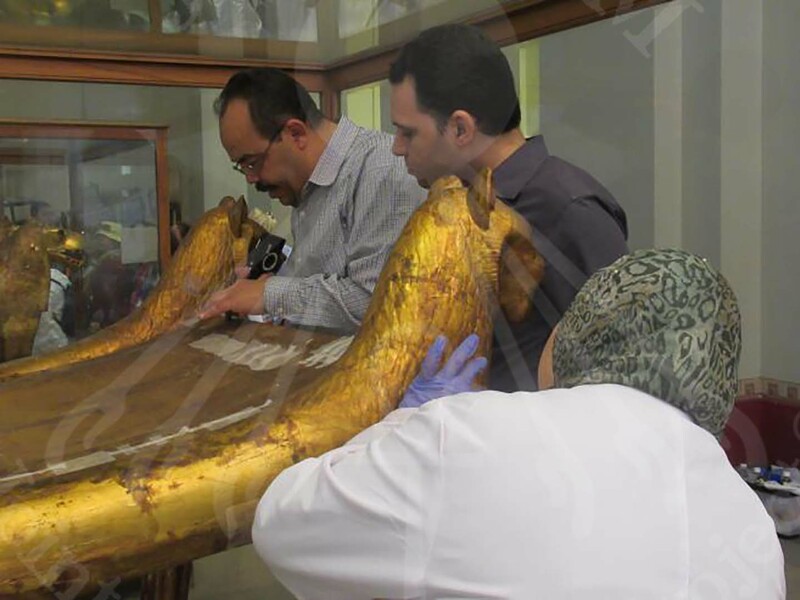 Dr. Medhat and Dr. Okada worked together with the Documentation team and Wood Conservation team to check the condition as well as do first aid on the two artifacts. 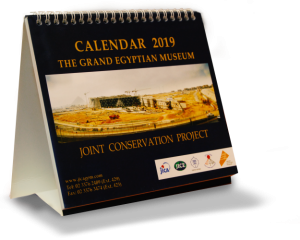 They applied Japanese paper facings on the weak parts of both artifacts, in order to secure them until they arrive to the Grand Egyptian Museum Conservation Center (GEM-CC). 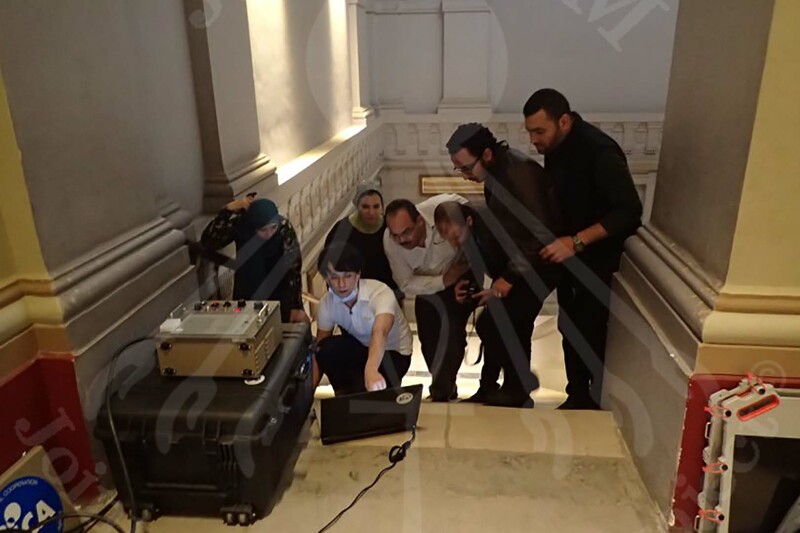 X-Ray photography has also begun in the Egyptian Museum in Tahrir on the target artifacts. 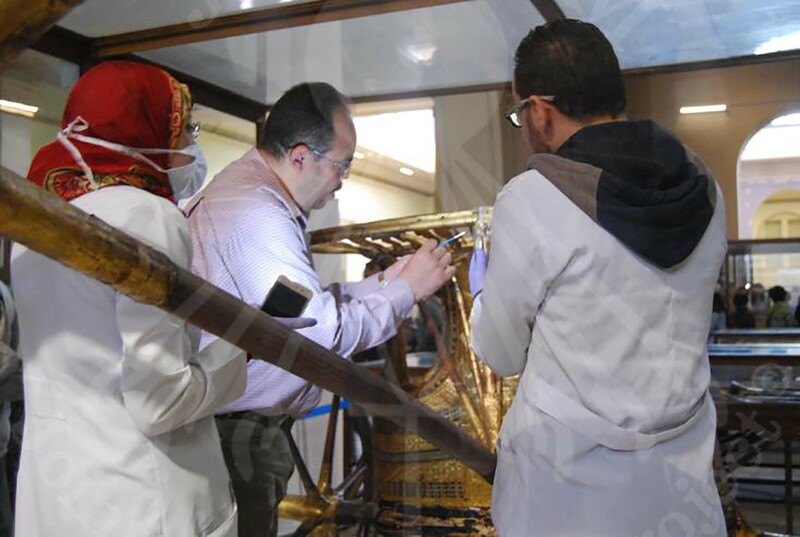 Mr. Matsushima and the Egyptian experts used the new portable X-Ray Radio-graphic device to check the structure and the weak points of these artifacts. So they could take special care of these weak points during transportation.